Clear Building Management has been awarded the prestigious Customer Service Excellence award by the Cabinet Office. The award is in recognition of the property management company’s high levels of customer care and follows a rigorous assessment process. Clear Building Management, which supports leaseholders, tenants and Resident Management Company directors across the North and Midlands, is the first managing agent to receive the accreditation, cementing the firm’s ongoing commitment to delivering exceptional standards of customer satisfaction. “We are absolutely delighted to receive recognition from the Cabinet Office for our service standards and to set the bar high for the property management industry, which historically has had a poor reputation in this area. The Customer Service Excellence standard tests in great depth those areas that research has indicated are a priority for customers, with particular focus on delivery, timeliness, information, professionalism and staff attitude. There is also emphasis placed on developing customer Insight, understanding the user’s experience and robust measurement of service satisfaction. Securing the accreditation allows Clear Building Management to display the prestigious Customer Service Excellence hallmark on its literature and website. 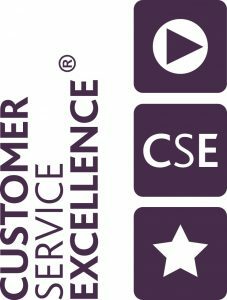 For more information on the Customer Service Excellence award please see: http://www.customerserviceexcellence.uk.com.